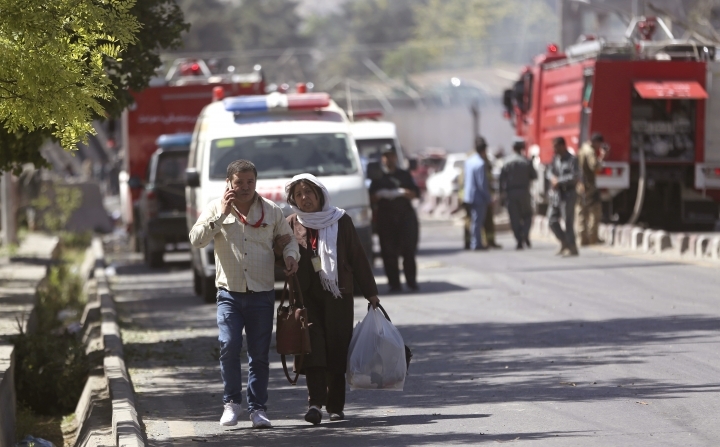 KABUL, Afghanistan — A suicide attacker struck the fortified heart of the Afghan capital with a massive truck bomb Wednesday, killing 90 people, wounding 400 and raising new fears about the government's ability to protect its citizens nearly 16 years into a war with insurgents. 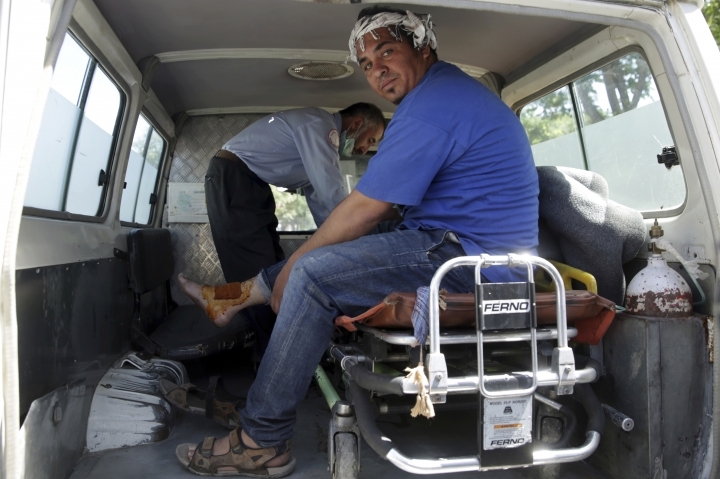 "I have been to many attacks, taken wounded people out of many blast sites, but I can say I have ever seen such a horrible attack as I saw this morning," ambulance driver Alef Ahmadzai told The Associated Press. "Everywhere was on fire and so many people were in critical condition." The explosives were hidden in a tanker truck used to clean out septic systems, said Najib Danish, deputy spokesman for the interior minister. 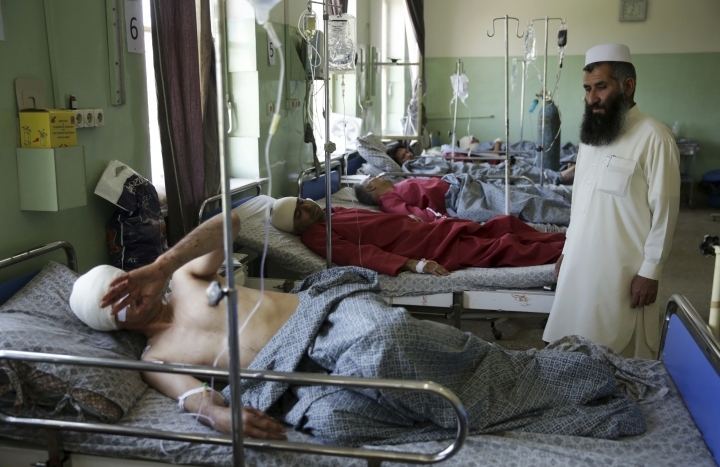 The number of dead and wounded was provided by the Afghan government's media center, citing a statement from the Afghan Ulema Council, the country's top religious body that includes Muslim clerics, scholars and men of authority in religion and law. Also in the area is Afghanistan's Foreign Ministry, the Presidential Palace and its intelligence and security headquarters, guarded by soldiers trained by the U.S. and its coalition partners. 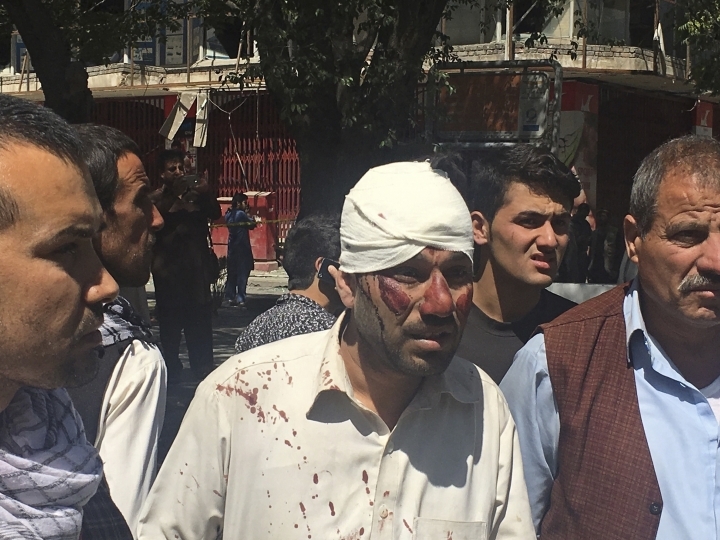 "The terrorists, even in the holy month of Ramadan, the month of goodness, blessing and prayer, are not stopping the killing of our innocent people," said President Ashraf Ghani. 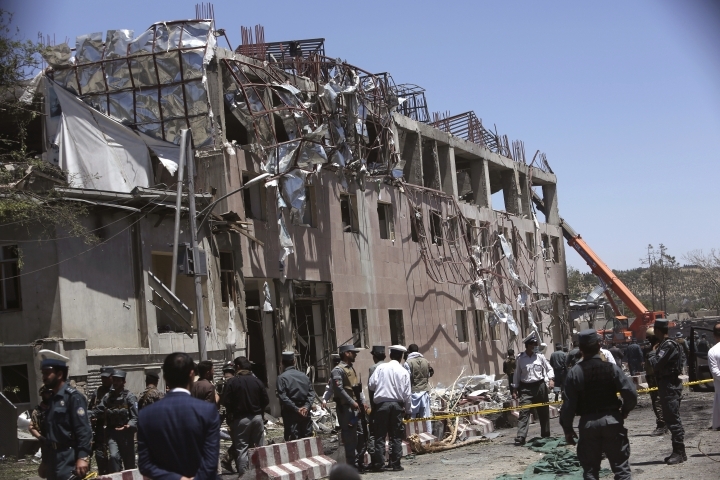 President Donald Trump spoke with Ghani after the attack, and Secretary of State Rex Tillerson condemned it as a "senseless and cowardly act." "The United States stands with the government and the people of Afghanistan and will continue to support their efforts to achieve peace, security, and prosperity for their country," Tillerson said in a statement. Afghanistan's war, the longest ever involving U.S. troops, has shown no sign of letting up, and the introduction into the battle of an Islamic State affiliate has made the country only more volatile. 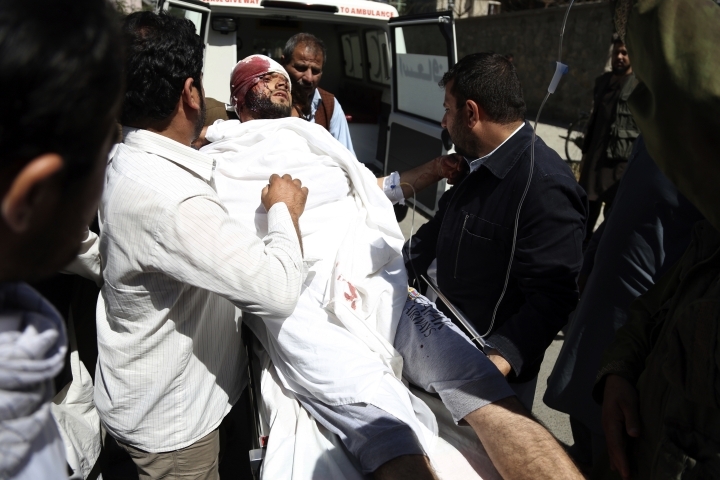 "Let's be clear: This is an intelligence failure, as has been the case with so many other attacks in Kabul and beyond. There was a clear failure to anticipate a major security threat in a highly secured area," said Michael Kugelman of the U.S.-based Wilson Center. "The fact that these intelligence failures keep happening suggest that something isn't working at the top, and major and urgent changes are needed in security policy," he said by email. "The sad reality is that more foreign troops would not necessarily ensure these attacks happen less," Kugelman said. "But they could help by supplementing training programs meant to enhance Afghan intel collection capacities, which have long been a deficiency in Afghanistan." 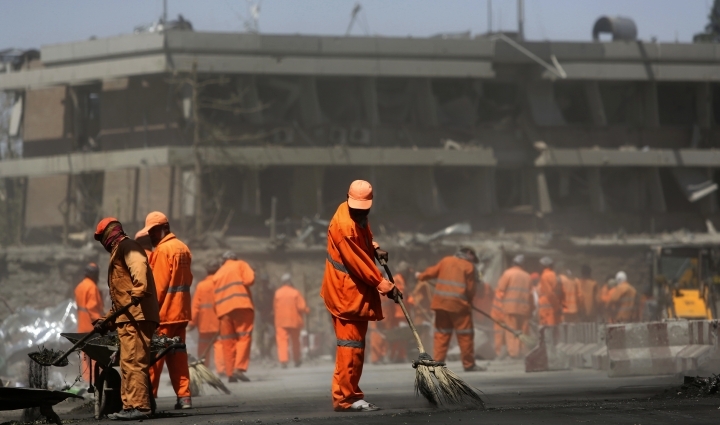 Afghan lawmaker and analyst Nasrullah Sadeqizada bemoaned the abysmal security, saying "the situation is deteriorating day by day." "If the situation continues to deteriorate, Afghans will lose all trust in the foreigners who are in Afghanistan as friends," he warned. Gen. Mirza Mohammad Yarmand, former deputy interior minister, said more troops won't help, although he urged the global community to stay committed to Afghanistan. "I don't think that more U.S. or NATO soldiers can solve the security problems in Afghanistan," he said. "When we had more than 100,000 foreign soldiers, they were not even able to secure Helmand province" in southern Afghanistan, where the Taliban controls roughly 80 percent of the area, he said. 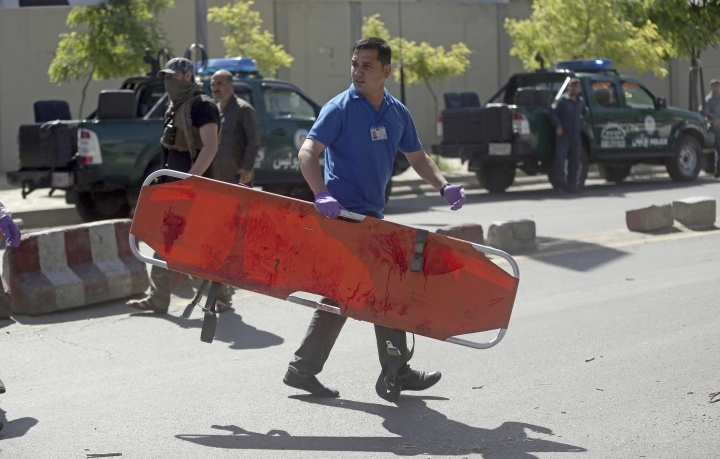 The stricken neighborhood was considered Kabul's safest, with the embassies protected by dozens of 10-foot-high blast walls and government offices guarded by security forces. More than 50 cars were either destroyed or damaged. 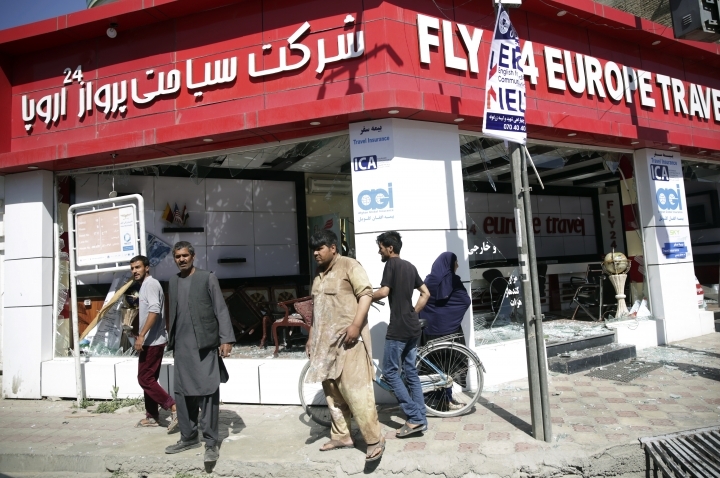 "I've never seen such a powerful explosion in my life," said Mohammad Haroon, who owns a nearby sporting goods store. All the windows in his shop and others around him were shattered, he added. 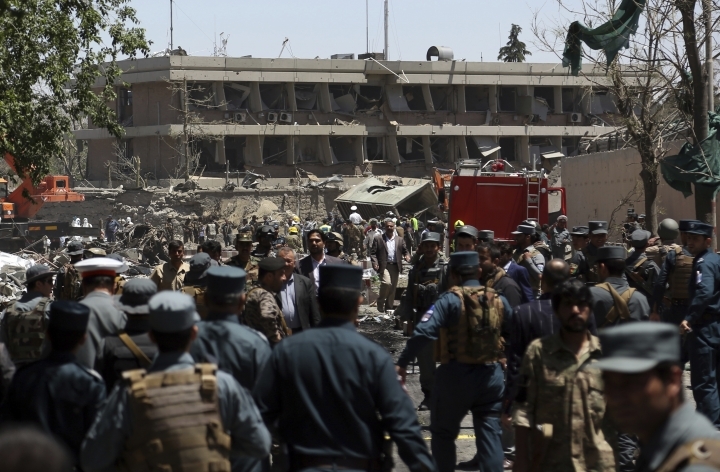 Besides the German Embassy, damage was reported at the embassies of China, Turkey, France, India and Japan, according to officials from those countries. Other nearby embassies include those of the U.S., Britain, Pakistan and Iran, as well as the NATO mission. 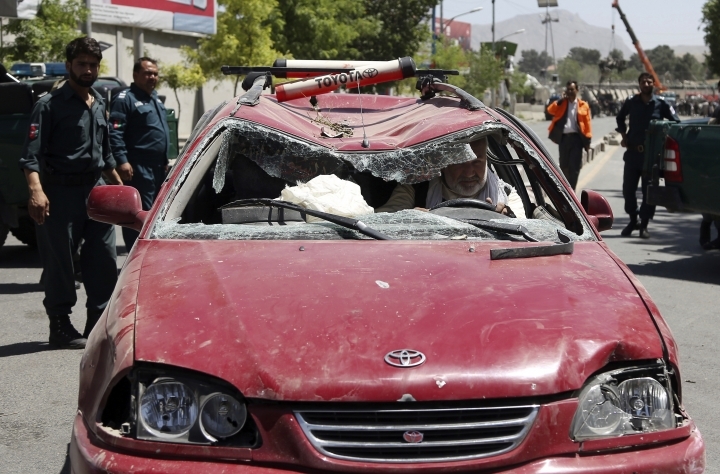 The BBC said one of its drivers was killed and four of its journalists were wounded. 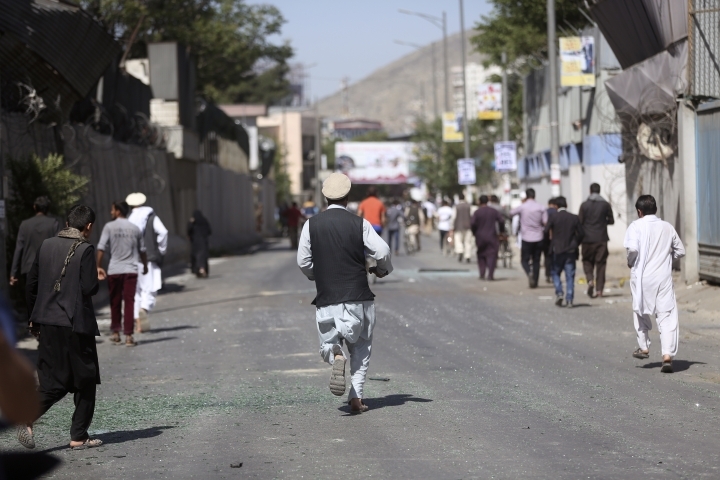 Afghanistan's private TOLO Television also reported a staffer killed; Germany said an Afghan security guard outside its embassy was among the dead. Chancellor Angela Merkel condemned the attack, saying that "terrorism has no borders." It "targets all of us — whether in Manchester or Berlin, Paris, Istanbul, St. Petersburg or today in Kabul," she said in the southern German city of Nuremberg. "Today we're united in shock and sadness across all borders," she added. She vowed: "We will lead the fight against terrorism, and we will win it." 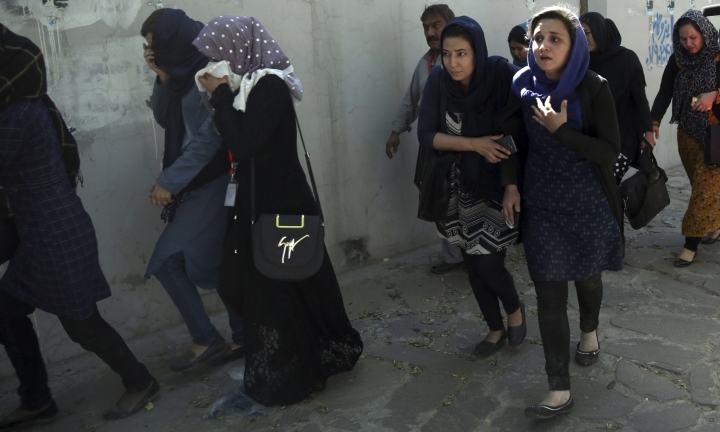 Neighboring Pakistan's Ministry of Foreign Affairs said the bomb damaged residences of some of its diplomats and staff and caused some minor injuries. 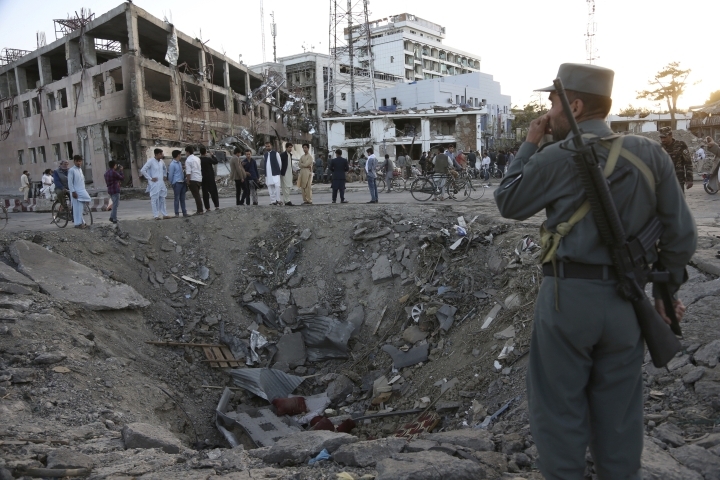 Associated Press writer Rahim Faiez reported this story in Kabul and AP writer Kathy Gannon reported from Islamabad. 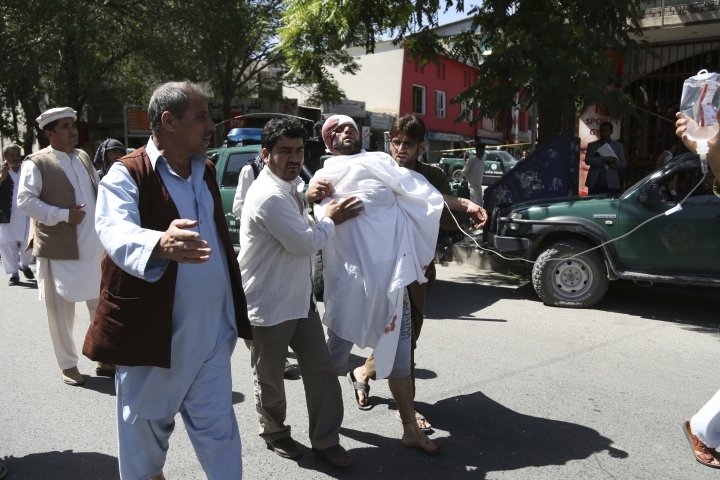 AP writers Amir Shah in Kabul, Matthew Lee in Washington and David Rising in Berlin contributed to this report.